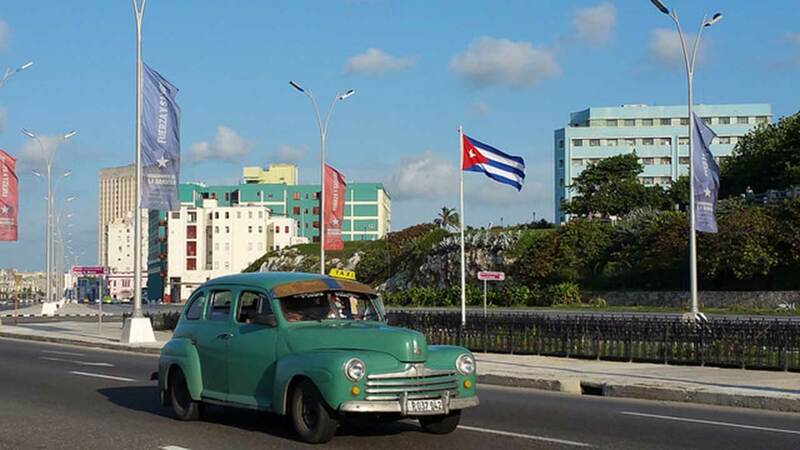 A car drives along Havana's iconic Malecon. HAVANA -- A higher number of US and Canadian diplomats and their families are believed to have been attacked by a mystery sonic weapon in Havana than was initially reported, CNN has learned from two senior US government officials. More than 10 US diplomats and family members received treatment after the months of harassing attacks, which began in mid-November 2016 and stopped this spring, said the US officials, who did not want to be identified because of the sensitive nature of the attacks and ongoing investigation. Two US diplomats who were treated in the United States suffered long-term injuries including hearing loss as a result of the attacks and were unable to return to Cuba, three US government sources told CNN. Additional diplomats opted to leave their assignments in Cuba early, as a result of the harassment, the two US government officials told CNN. State Department spokeswoman Heather Nauert said despite the incidents and staffing changes, the US Embassy in Havana is "fully operational." In June, five Canadian diplomats and family members reported experiencing symptoms consistent with the attacks, the US government officials told CNN, which would mean further attacks were carried out at the same time Cuban officials were investigating the incidents. "We are aware of unusual symptoms affecting Canadian and US diplomatic personnel and their families in Havana," Canadian spokesperson Brianne Maxwell said in a statement earlier in August when it was first revealed that Canadian diplomats had also been attacked. "The government is actively working -- including with US and Cuban authorities -- to ascertain the cause." In some of the attacks a sophisticated sonic weapon that operated outside the range of audible sound was deployed either inside or outside the residences of US diplomats living in Havana, according to three US officials. The weapon caused immediate physical sensations including nausea, headaches and hearing loss. Other attacks made a deafeningly loud sound similar to the buzzing created by insects or metal scraping across a floor, but the source of the sound could not be identified, the two US officials said. Some of the diplomats were attacked by the mystery weapon late at night in their homes while they were asleep, the officials said. For months the United States and Cuba secretly discussed the attacks. Even the US decision in May to expel two Cuban diplomats working in the United States to protest the attacks was kept from the public. "We hold the Cuban authorities responsible for finding out who is carrying out these health attacks on not just our diplomats but, as you've seen now, there are other cases with other diplomats involved," Secretary of State Rex Tillerson told reporters in August. Foreign diplomats -- in particular those working for the US Embassy in Havana -- are kept under close watch by Cuban authorities. Diplomats working in Cuba are required to rent houses from the Cuban government, are forbidden from staying in Cubans' homes if they travel outside Havana and are supposed to contract all Cuban employees who work in embassies and diplomats' homes through the Cuban government. US government officials told CNN that Cuban officials have taken the attacks seriously, even saying that Cuba has a greater national interest in determining who was behind the incidents. "Cuba has never, nor would it ever, allow that the Cuban territory be used for any action against accredited diplomatic agents or their families, without exception," the Cuban government said. This summer, Cuba took the unusual step of allowing FBI agents and members of the Royal Canadian Mounted Police to travel to Cuba to investigate the attacks, and Cuba has increased security around diplomats' residences. Investigators searched diplomats' homes but did not find any devices capable of carrying out the acoustic attacks and are still puzzled by the source of the disturbances, US officials said. The sophistication of the attack has led US officials to suspect a third country is involved, perhaps seeking payback against the United States and Canada or to drive a wedge between those countries and Cuba. Investigators are seeking to determine whether operatives from a country with an adversarial relationship to the United States, such as Russia, China, North Korea, Venezuela or Iran could have been involved but have not narrowed the possibilities down to any one suspect. The extent of Cuba's involvement is also a mystery, US officials said, particularly considering the impact the incident has had on already fragile US-Cuban relations. Canada, which did not break relations with the Cuban government after the 1959 revolution, has deep commercial and diplomatic ties to the island. In July, Raul Castro said in a speech that he hoped to continue improving US-Cuban relations, even as the Trump administration has taken a tougher stance toward Cuba. Any faction of the island's state security or military working against Castro's policy of improved relations with the United States would be near unprecedented. "I doubt that it would be an intentional effort to derail normalization between people who opposed it," said William LeoGrande, co-author of "Back Channel to Cuba: The Hidden History of Negotiations Between Washington and Havana." "It's more likely that people in the Cuban security forces might have done a favor for friendly intelligence services without having cleared it all the way up the chain of command."